Letting babies "cry it out" is an idea that has been around since at least the 1880s when the field of medicine was in a hullaballoo about germs and transmitting infection and so took to the notion that babies should rarely be touched (see Blum, 2002, for a great review of this time period and attitudes towards childrearing). In the 20th century, behaviorist John Watson (1928), interested in making psychology a hard science, took up the crusade against affection as president of the American Psychological Association. He applied the mechanistic paradigm of behaviorism to child rearing, warning about the dangers of too much mother love. The 20th century was the time when "men of science" were assumed to know better than mothers, grandmothers and families about how to raise a child. Too much kindness to a baby would result in a whiney, dependent, failed human being. Funny how "the experts" got away with this with no evidence to back it up! Instead there is evidence all around (then and now) showing the opposite to be true! With neuroscience, we can confirm what our ancestors took for granted---that letting babies get distressed is a practice that can damage children and their relational capacities in many ways for the long term. We know now that leaving babies to cry is a good way to make a less intelligent, less healthy but more anxious, uncooperative and alienated person who can pass the same or worse traits on to the next generation. The discredited behaviorist view sees the baby as an interloper into the life of the parents, an intrusion who must be controlled by various means so the adults can live their lives without too much bother. Perhaps we can excuse this attitude and ignorance because at the time, extended families were being broken up and new parents had to figure out how to deal with babies on their own, an unnatural condition for humanity--we have heretofore raised children in extended families. The parents always shared care with multiple adult relatives. According to a behaviorist view completely ignorant of human development, the child 'has to be taught to be independent.' We can confirm now that forcing "independence" on a baby leads to greater dependence. Instead, giving babies what they need leads to greater independence later. In anthropological reports of small-band hunter-gatherers, parents took care of every need of babies and young children. Toddlers felt confident enough (and so did their parents) to walk into the bush on their own (see Hunter-Gatherer Childhoods, edited by Hewlett & Lamb, 2005). Ignorant behaviorists then and now encourage parents to condition the baby to expect needs NOT to be met on demand, whether feeding or comforting. It's assumed that the adults should 'be in charge' of the relationship. Certainly this might foster a child that doesn't ask for as much help and attention (withdrawing into depression and going into stasis or even wasting away) but it is more likely to foster a whiney, unhappy, aggressive and/or demanding child, one who has learned that one must scream to get needs met. A deep sense of insecurity is likely to stay with them the rest of life. The fact is that caregivers who habitually respond to the needs of the baby before the baby gets distressed, preventing crying, are more likely to have children who are independent than the opposite (e.g., Stein & Newcomb, 1994). Soothing care is best from the outset. Once patterns get established, it's much harder to change them. Rats are often used to study how mammalian brains work and many effects are similar in human brains. In studies of rats with high or low nurturing mothers, there is a critical period for turning on genes that control anxiety for the rest of life. If in the first 10 days of life you have low nurturing rat mother (the equivalent of the first 6 months of life in a human), the gene never gets turned on and the rat is anxious towards new situations for the rest of its life, unless drugs are administered to alleviate the anxiety. These researchers say that there are hundreds of genes affected by nurturance. Similar mechanisms are found in human brains--caregiver behavior matters for turning genes on and off. (Work of Michael Meaney and colleagues; e. g., Meaney, 2001). One strangely popular notion still around today is to let babies 'cry it out' when they are left alone, isolated in cribs or other devices. This comes from a misunderstanding of child and brain development. There are many longterm effects of undercare or need-neglect in babies (e.g., Bremmer et al, 1998; Blunt Bugental et al., 2003; Dawson et al., 2000; Heim et al 2003). Secure attachment is related to responsive parenting, such as when babies wake up and cry at night. Disordered stress reactivity can be established as a pattern for life not only in the brain with the stress response system (Bremmer et al, 1998), but also in the body through the vagus nerve, a nerve that affects functioning in multiple systems (e.g., digestion). For example, prolonged distress in early life, resulting in a poorly functioning vagus nerve, is related disorders as irritable bowel syndrome (Stam et al, 1997). See more about how early stress is toxic for lifelong health from the recent Harvard report, The Foundations of Lifelong Health are Built in Early Childhood). Self-regulation is undermined. The baby is absolutely dependent on caregivers for learning how to self-regulate. 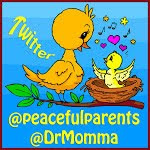 Responsive care---meeting the baby's needs before he gets distressed---tunes the body and brain up for calmness. When a baby gets scared and a parent holds and comforts him, the baby builds expectations for soothing, which get integrated into the ability to self comfort. Babies don't self-comfort in isolation. If they are left to cry alone, they learn to shut down in face of extensive distress--stop growing, stop feeling, stop trusting (Henry & Wang, 1998). Trust is undermined. As Erik Erikson pointed out, the first year of life is a sensitive period for establishing a sense of trust in the world, the world of caregiver and the world of self. When a baby's needs are met without distress, the child learns that the world is a trustworthy place, that relationships are supportive, and that the self is a positive entity that can get its needs met. When a baby's needs are dismissed or ignored, the child develops a sense of mistrust of relationships and the world. And self-confidence is undermined. The child may spend a lifetime trying to fill the inner emptiness. Caregiver sensitivity may be harmed. A caregiver who learns to ignore baby crying, will likely learn to ignore the more subtle signaling of the child's needs. Second-guessing intuitions to stop child distress, the adult who ignores baby needs practices and increasingly learns to "harden the heart." The reciprocity between caregiver and babu is broken by the adult, but cannot be repaired by the young child. The baby is helpless. Caregiver responsiveness to the needs of the baby is related to most if not all positive child outcomes. In our work caregiver responsiveness is related to intelligence, empathy, lack of aggression or depression, self-regulation, social competence. Because responsiveness is so powerful, we have to control for it in our studies of other parenting practices and child outcomes. The importance of caregiver responsivness is common knowledge in developmental psychology Lack of responsiveness, which "crying it out" represents. can result in the opposite of the afrementioned positive outcomes. The 'cry it out' approach seems to have arisen as a solution to the dissolution of extended family life in the 20th century. The vast wisdom of grandmothers was lost in the distance between households with children and those with the experience and expertise about how to raise them well. The wisdom of keeping babies happy was lost between generations. No. A crying baby in our ancestral environment would have signaled predators to tasty morsels. So our evolved parenting practices alleviated baby distress and precluded crying except in emergencies. Babies are built to expect the equivalent of an "external womb" after birth (see Allan Schore, specific references below). What is the external womb? ---being held constantly, breastfed on demand, needs met quickly (I have numerous posts on these things). These practices are known to facilitate good brain and body development (discussed with references in other posts, some links below). When babies display discomfort, it signals that a need is not getting met, a need of their rapidly growing systems. What does extensive baby crying signal? It shows the lack of experience, knowledge and/or support of the baby's caregivers. To remedy a lack of information in us all, below is a good set of articles about all the things that a baby's cry can signal. We can all educate ourselves about what babies need and the practices that alleviate baby crying. We can help one another to keep it from happening as much as possible. ADDENDUM: I was raised in a middle-class family with a depressed mother, harsh father and overall emotionally unsupportive environment--not unlike others raised in the USA. I have only recently realized from extensive reading about the effects of early parenting on body and brain development that I show the signs of undercare--poor memory (cortisol released during distress harms hippocampus development), irritable bowel and other poor vagal tone issues, and high social anxiety. 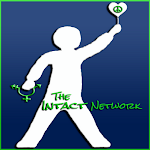 The USA has epidemics of poor physical and mental health (e.g., UNICEF, 2007; USDHSS, 1999; WHO/WONCA, 2008). The connection between the lack of ancestral parenting practices and poor health outcomes has been documented for touch, responsiveness, breastfeeding, and more (Narvaez et al., in press). If we want a strong country and people, we've got to pay attention to what children need for optimal development. Science of Parenting, an inexpensive, photo-filled, easy-to-read book for parents by Margot Sunderland, has much more detail and references on these matters. I keep copies on hand to give to new parents. Here is a terrific post on co-sleeping (the abandoned practice that is behind notions of leaving babies to cry it out) by my esteemed colleague, Peter Gray. 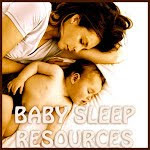 Much more about co-sleeping research is here at the website of my colleague, James McKenna. More on babies' and children's needs here, here, and here. Giving babies what they need is really a basic right of babies. See here for more rights I think babies should expect. And here for a new book by Eileen Johnson on the emotional rights of babies. Blum, D. (2002). Love at Goon Park: Harry Harlow and the Science of Affection. New York: Berkeley Publishing (Penguin). Blunt Bugental, D. et al. (2003). The hormonal costs of subtle forms of infant maltreatment. Hormones and Behaviour, January, 237-244. Bremmer, J.D. et al. (1998). The effects of stress on memory and the hippocampus throughout the life cycle: Implications for childhood development and aging. Developmental Psychology, 10, 871-885. Dawson, G., et al. (2000). The role of early experience in shaping behavioral and brain development and its implications for social policy. Development and Psychopathology, 12(4), 695-712. Catharine R. Gale, PhD, Finbar J. O'Callaghan, PhD, Maria Bredow, MBChB, Christopher N. Martyn, DPhil and the Avon Longitudinal Study of Parents and Children Study Team (October 4, 2006). "The Influence of Head Growth in Fetal Life, Infancy, and Childhood on Intelligence at the Ages of 4 and 8 Years". PEDIATRICS Vol. 118 No. 4 October 2006, pp. 1486-1492. http://pediatrics.aappublications.org/cgi/content/short/118/4/1486. Heim, C. et al. (1997). Persistent changes in corticotrophin-releasing factor systems due to early life stress: Relationship to the pathophysiology of major depression ad post-traumatic stress disorder. Psychopharmacology Bulletin, 185-192. Henry, J.P., & Wang, S. (1998). Effects of early stress on adult affiliative behavior, Psychoneuroendocrinology 23( 8), 863-875. Hewlett, B., & Lamb, M. (2005). Hunter-gatherer childhoods. New York: Aldine. Meaney, M.J. (2001). Maternal care, gene expression, and the transmission of individual differences in stress reactivity across generations. Annual Review of Neuroscience, 24, 1161-1192. Narvaez, D., Panksepp, J., Schore, A., & Gleason, T. (Eds.) (in press). Evolution, Early Experience and Human Development: From Research to Practice and Policy. New York: Oxford University Press. Panksepp, J. (1998). Affective neuroscience. New York: Oxford University Press. Schore, A.N. (1997). Early organization of the nonlinear right brain and development of a predisposition to psychiatric disorders. Development and Psychopathology, 9, 595-631. Schore, A.N. (2000). Attachment and the regulation of the right brain. Attachment & Human Development, 2, 23-47. Schore, A.N. (2001). The effects of early relational trauma on right brain development, affect regulation, and infant mental health. Infant Mental Health Journal, 22, 201-269. Stam, R., et al. (1997). Trauma and the gut: Interactions between stressful experience and intestinal function. Gut. Stein, J. A., & Newcomb, M. D. (1994). Children's internalizing and externalizing behaviors and maternal health problems. Journal of Pediatric Psychology, 19(5), 571-593. UNICEF (2007). Child poverty in perspective: An overview of child well-being in rich countries, a comprehensive assessment of the lives and well-being of children and adolescents in the economically advanced nations, Report Card 7. Florence, Italy: United Nations Children's Fund Innocenti Research Centre. U.S. Department of Health and Human Services, Substance Abuse and Mental Health Services Administration. (1999). Mental health: A report of the Surgeon General. Rockville, MD: Center for Mental Health Services, National Institutes of Health, National Institute of Mental Health. Watson, J. B. (1928). Psychological Care of Infant and Child. New York: W. W. Norton Company, Inc.
WHO/WONCA (2008). Integrating mental health into primary care: A global perspective. Geneva and London: World Health Organization and World Organization of Family Doctors. Darcia Narvaez, Ph.D., is Associate Professor of Psychology at the University of Notre Dame and Director of the Collaborative for Ethical Education. Her current research examines the effects of parenting on child and adult outcomes. Narvaez has developed several integrative theories: Adaptive Ethical Expertise, Integrative Ethical Education, Triune Ethics Theory. She spoke at the Whitehouse's conference on Character and Community, and is author/editor of three award winning books: Postconventional Moral Thinking; Moral Development, Self and Identity; and the Handbook of Moral and Character Education. Her (ed.) upcoming text, Human Nature, Early Experience, and the Environment of Evolutionary Adaptedness is set for 2012 publication. Visit Dr. Narvaez' website for additional books, papers, classes, websites and contact information. I ask this in all seriousness because this is a source I trust. We co-slept/breastfed (in fact, everybody's still nursed around here!) around the clock for 15+ months with both kids. Now they're 2 and 3 and a half. Is there an age when a few minutes of crying that happens when encouraging them to fall asleep alone IS acceptable? While my older has always needed company to fall asleep, the younger put himself to sleep easily from the time he was in his own bed. We moved to a new home and for 6 months now we've been trying to get back to that place. He takes over an hour to fall asleep at night instead of the 5 minutes he used to take on his own. We get outside play every day, and I need that time in the evening--along with the things all mothers do I have a business out of the home and my older is allergic to 6 of the top 8 allergens, meaning I cook everything from scratch (I only say that waiting for someone to tell me I don't need that time. I do, really, I do.) Suggestions? I agree with anonymous above. When my second son was 18 months old we removed him from the family bed to sleep with his older brother. He sleeps there no problem. What a fantastic article, thank you so much! I've been telling people for years that babies crying is dangerous because if we were in the wild the lions would know where they are. So nice to see someone else saying the same thing. Excellent in all regards! I have advanced degrees in cultural anthropology and counseling psychology (my profession). I've long thought that crying babies are unnatural and should be comforted until quiet. The work of Alan Schore and Daniel Siegel have strongly convinced me that I'm right. The concept of the "external womb" is perfect. That's what babies need. As they grow they learn to provide more and more it for themselves, and to get it appropriately from others when needed. I work with adults who have never experienced it, and our work to construct this womb, late in life, is arduous, but utterly necessary. We ALL need to be gentle with each other, and especially with the young. We are for each other the First World, with all else being a distant second. Some people never get welcomed into that world, and the cost of this is profound. It doesn't need to happen. Thank you so much for this article. I will be using it, referring people to it, and talking about. People need to know what actually works! Any suggestions would be appreciated: I have to return to work, but only 4 hours twice a week. The problem is my husband, who will be keeping the baby those hours when I work, doesn't seem able to comfort our 10 week old. When I return from a run (after nursing and making sure baby is content), the baby is limp and spent from crying, even though my husband has been holding him, talking to him, walking with him, etc. I know babies need mommies--but it will break my heart to know he is crying like this every time I leave him--even with daddy! @Kacey Its an adjustment- Dads don't bond naturally with infants like mothers. 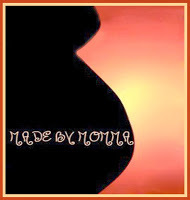 It takes time, progression, and work for us to reach the level moms make in an instant at birth. I like this article but I'm just unsure of the implications as no definition of CIO has been given. CIO means so many different things to so many different people... so it makes it somewhat difficult. Does this mean x may happen if a baby has to CIO for 10 minutes? 2 hours? 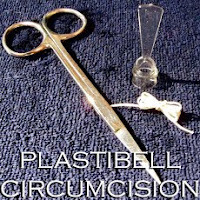 There are so many different techniques that can be used. 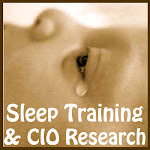 CIO = ignoring a baby's cry for any duration of time. Not the same as crying-in-arms while the root cause is sought out. There are different 'techniques' of *controlled crying* (implementing CIO for various durations of time - which in tern, have varying degrees of impact on the developing brain and hormone make up). But the two are not always the same (controlled crying and CIO). Ok. I can see how various lengths of thing will "produce" different results. I have a seventeen month old who wakes up hourly at night to breastfeed. I haven't slept more than two hours consecutively for seventeen months. I am exhausted and this exhaustion is negatively impacting my mental health, my productivity at work, and my relationship with my husband and son. I work full time, so it is not an option to take naps while he sleeps. During our past attempts to night wean, my son cries for an hour plus in our arms. So far, we have not been successful at changing his behaviors because I start panicking after he has been crying for an extended period of time. And, yet, we have to make some change to help him learn to go back to sleep independently because it is impossible for me to continue this way. Basically, I see my choice as (a) continue to do what we are doing and drive myself completely into the ground, ending up hospitalized for depression and exhaustion, or (b) making a change, which will inevitably involve struggle for my son. What would you recommend that I do? (And, yes, I have read "No-Cry Sleep Solution" and "Sleepless in America"). 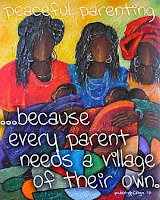 I am not a parent but I have family that are. Could you pump breast milk ahead and have your husband bottle feed every other hour? That might give you more extended sleep for your restoration, meet your baby's need and increase bonding and comforting time for your husband with your baby. I hope his time between feedings begins to expand for all of you. Sounds like he could use some more extended sleep periods himself. I totally love your website and how you advocate natural parenting, breastfeeding and co-sleeping sometimes. This article totally impressed me.. I have read a little about baby learning to self soothe but I couldn't really connect with it.. in fact i think its completely unnatural.. I loved everything that you said in the article! Thank you so much for this article!! Has helped me tremendously!